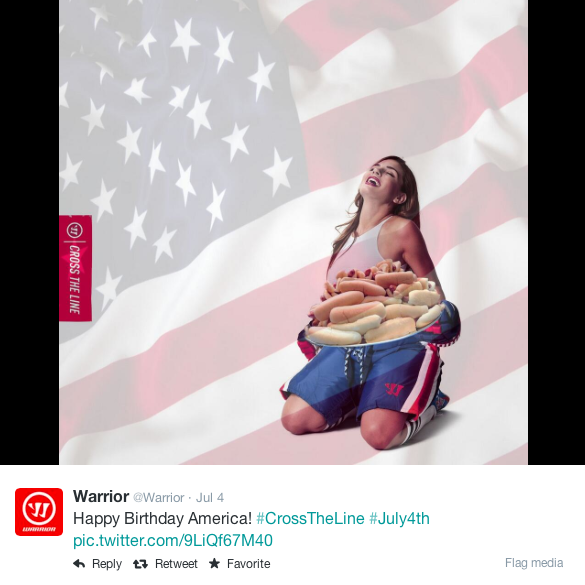 Warrior’s gender-motivated tweets spark outrage. This is a call to all HOCKEY, LACROSSE, and SOCCER players who have Warrior gear to help make Warrior accountable for their actions. They may not want to make women’s specific gear but there is no need to alienate women from their equipment and apparel. 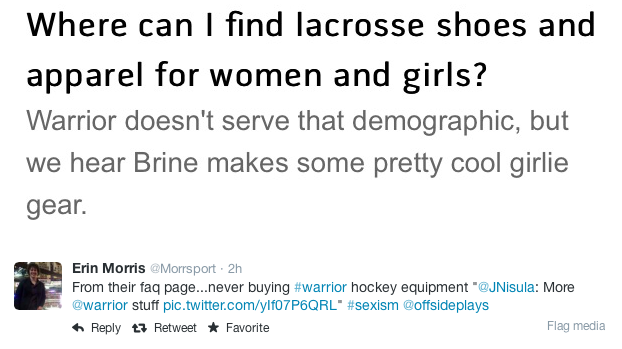 Also, if your gear is good enough, you don’t need to objectify women to sell it. Watching Alexei Kovalev show off his skills with his Warrior stick was what sold me. 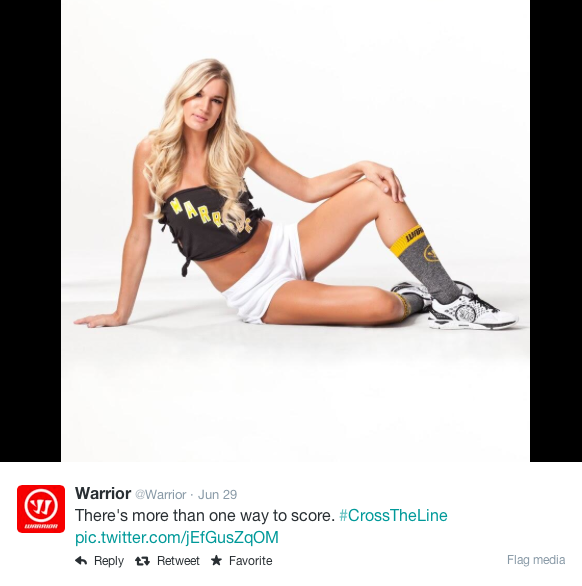 So Warrior, maybe the next time you can ask Kovalev to put on his skivvies if you really need to show some skin on your social media account.